Hi! My name is Kathleen Nelson Troyer and I’m glad you are here! I am a consultant, coach and trainer. Gently Moving Forward serves as home base for personal one-on-one work with clients, group coaching and training programs, and our fabulous retreats. I started my career working in the corporate world and still spend a good chunk of my time at Jigsaw Solutions, Inc, where I partner with leaders to build, develop, and maintain exceptional teams. I also help run TechReckoning Studios where I, together with my husband John, provide marketing services to B2B technology companies. My clients are people who are ready to make changes in their lives. They may want to make a career change. They may want more love, mindfulness, or peace in their lives. They may be feeling stuck in some area of their lives. They may have an intuitive sense that some kind of healing may be needed to in order to move forward. We work together to create a plan that will uniquely support them. I’m a lifelong student of psychology, transformation and healing. I’m a highly intuitive college grad with numerous certifications and accreditations. If credentials are your thing, feel free to check mine out here. If you are thinking about working with me, you are welcome to connect for a complimentary 30-minute discovery/strategy call where you can pick my brain for ideas, ask questions, and get a sense of how it would be to work with me. There is nothing I love more than working with people who know that they are here for a reason and are committed to finding and living their purpose! I enjoy writing, especially as a healing and transformational tool. I am one of the contributing authors in the following books: Empowered Voices: True Stories by Awakened Women , Harmonic Voices: True Stories by Women on the Path to Peace and Feminine Voices: True Stories by Women Transforming Leadership. I was honored to write the blessing for Tender Voices: True Stories by Women on a Journey of Love . 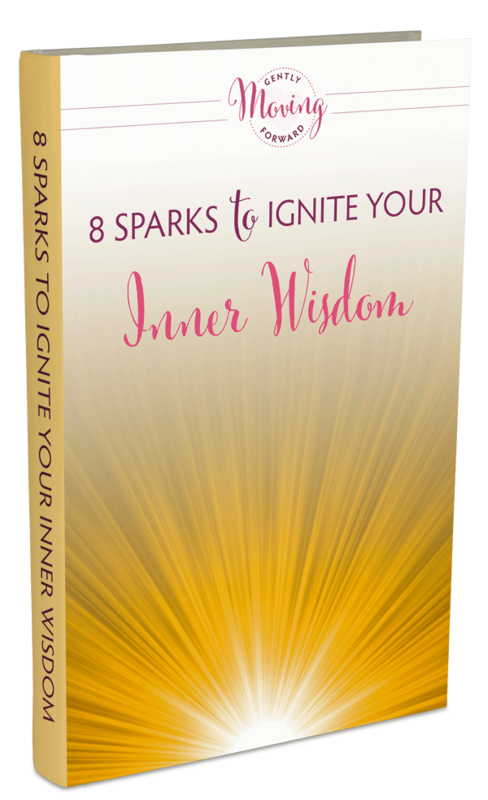 My latest book, 8 Sparks to Ignite your Inner Wisdom, is available exclusively on this website for my newsletter subscribers. Sign up here to get your free copy before it is available to buy on Amazon. I have overcome a fair amount of adversity in my life and it has made me strong and resilient. I’ve learned (and am still learning!) that life happens and how we respond to it is everything. Forgiveness, love and gratitude are all powerful tools that can help you to gently move forward. Practicing these tools will transform your life. I believe we are all so much more powerful than we realize. I have encountered human angels along my path and am inspired to “pay it forward.” I try to remember to see the humor in tough situations and find that laughter and levity help us shift faster than most other things. I am fiercely committed to my client’s success. To learn more, click on the Work with Me page. 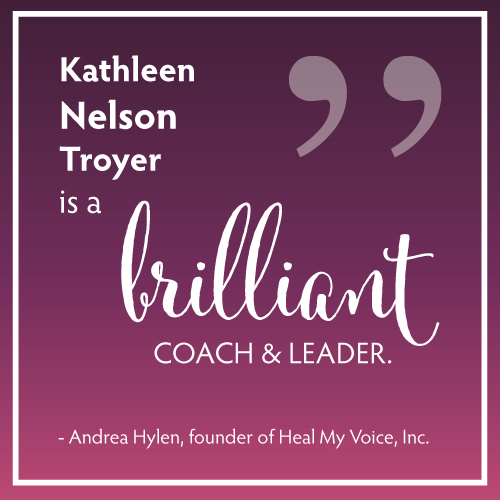 My clients say that I help them connect with their innate wisdom, authentic power and life purpose, and often a better job! To learn more about the work that I do please click here. I live in a seaside cottage with a magical garden about 25 miles south of San Francisco along the San Mateo coastline near Half Moon Bay, California with my fabulous husband John, our two cats and our dog. I love to travel, especially to the sacred and powerful spots on our planet. Spending time in the water near dolphins and whales one of my favorite things to do. I am passionate about living a peaceful, joyful and meaningful life with a lots of laughter! Feel free to contact me or schedule a complimentary 30 minute discovery session.